Welcome to our new resource for conducting Game Jams with Bloxels EDU. and even when building alone! Really anytime you build a game your conducting a form of a game jam. The term is most often used when a collection of individuals are working either together or in unison to create a game with a loose set of criteria (a “theme”) over a specified timeframe (1 hour, 1 day, 1 week, etc) using either a specific tool or a broad set of tools (i.e. anything you want, just Scratch, just Bloxels, etc). By defining a theme, timeframe, and toolset, you are both maximizing creativity and limiting it; both good things when it comes to maximizing output! This guide will also serve is a great way to understand the full Bloxels experience. 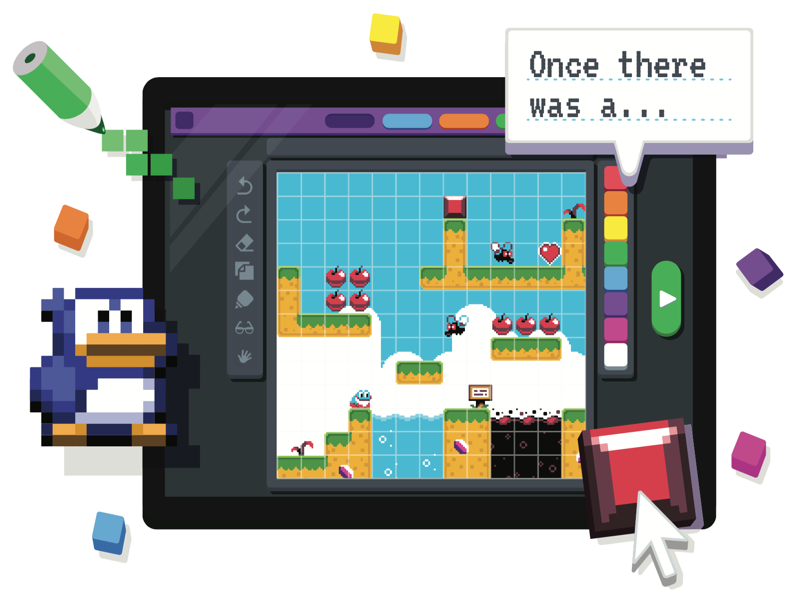 Throughout this document you will find links to videos, tutorials and resources to get the most out of Bloxels. We will also be updating this site regularly as new features are released and we get feedback from you! Part 3 - First Build Time! Part 5 - More Build Time! Part 7 - Polish Your Game! Interested in participating in more Game Jams? Search the Global Gam Jam site for a game jam near you.